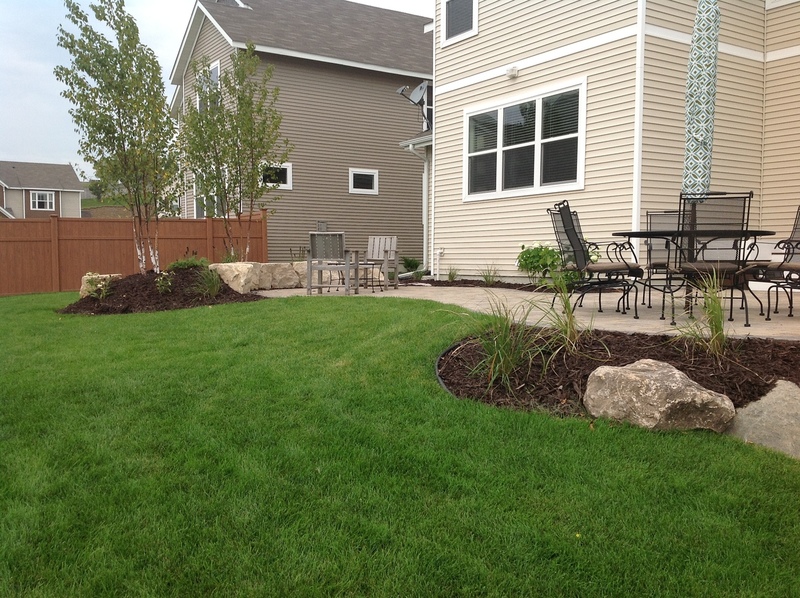 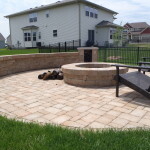 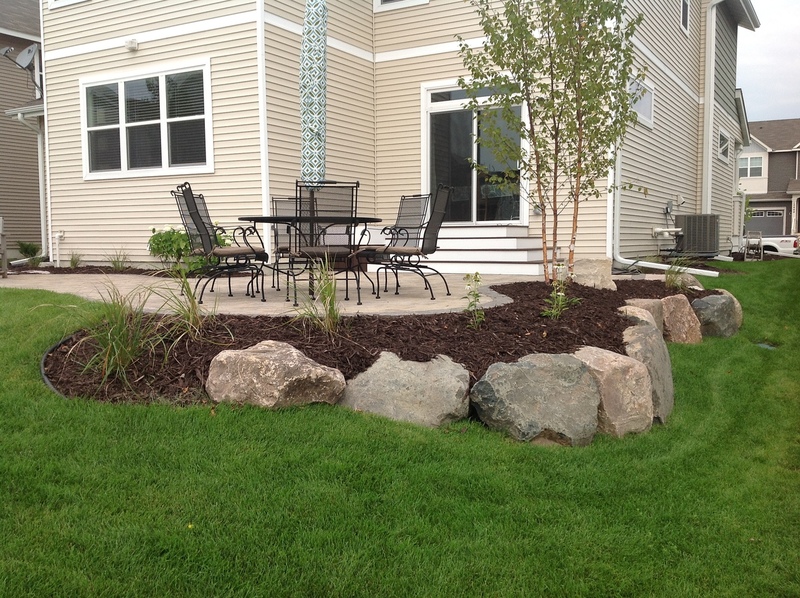 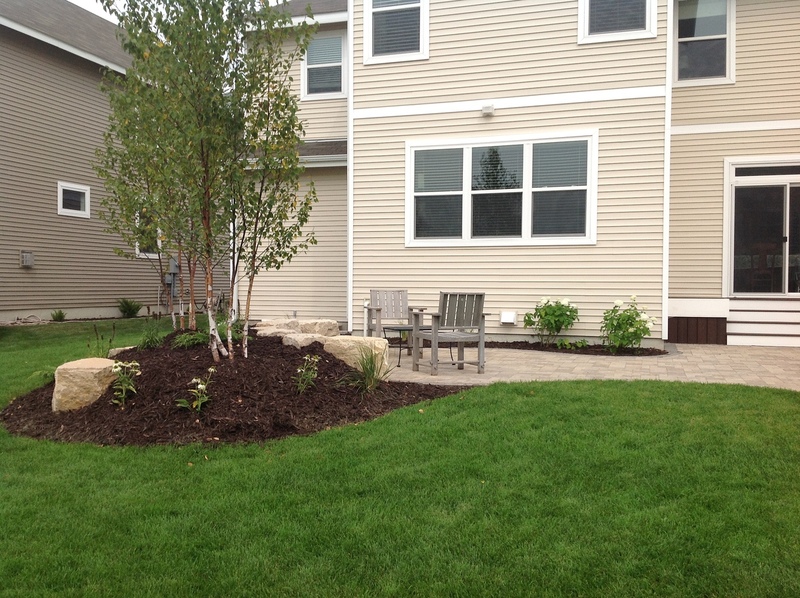 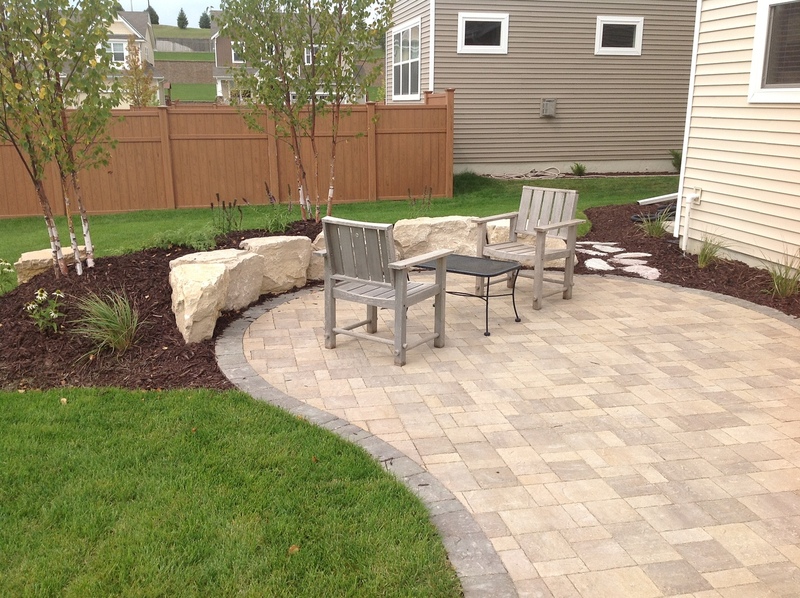 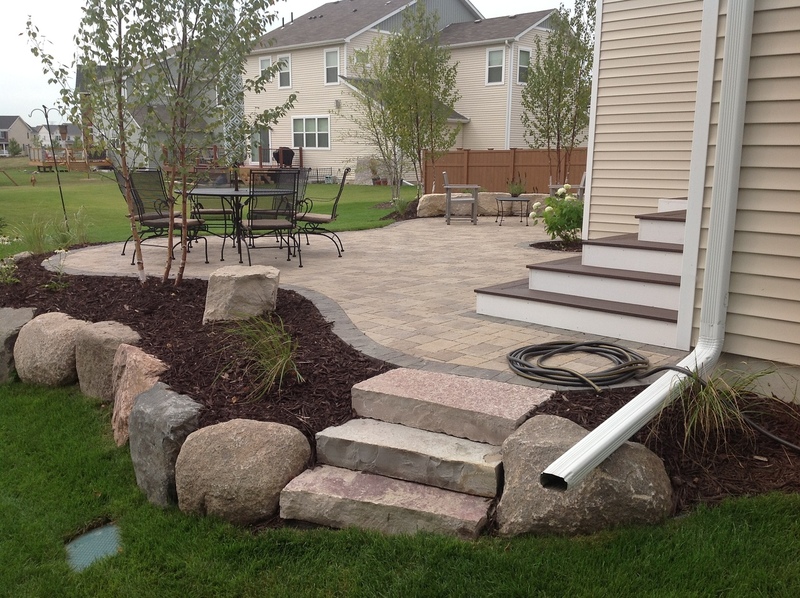 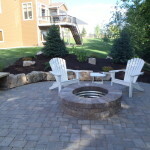 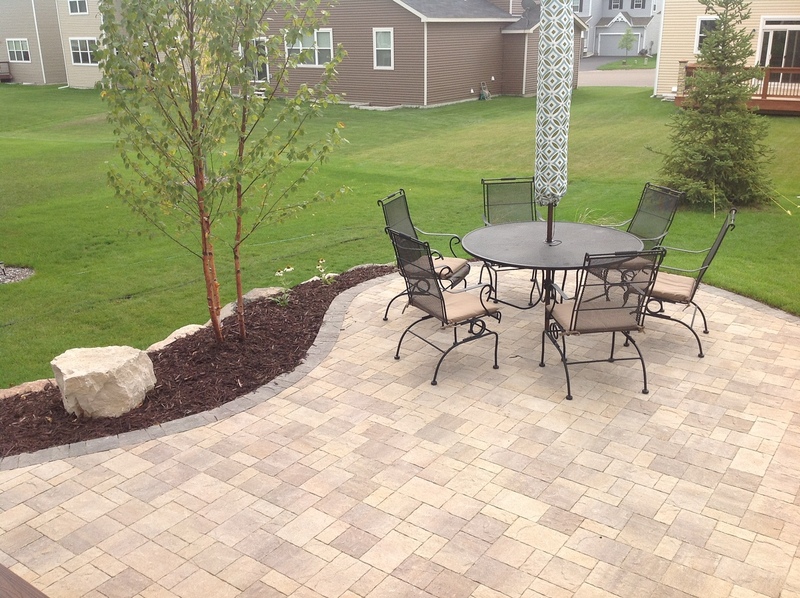 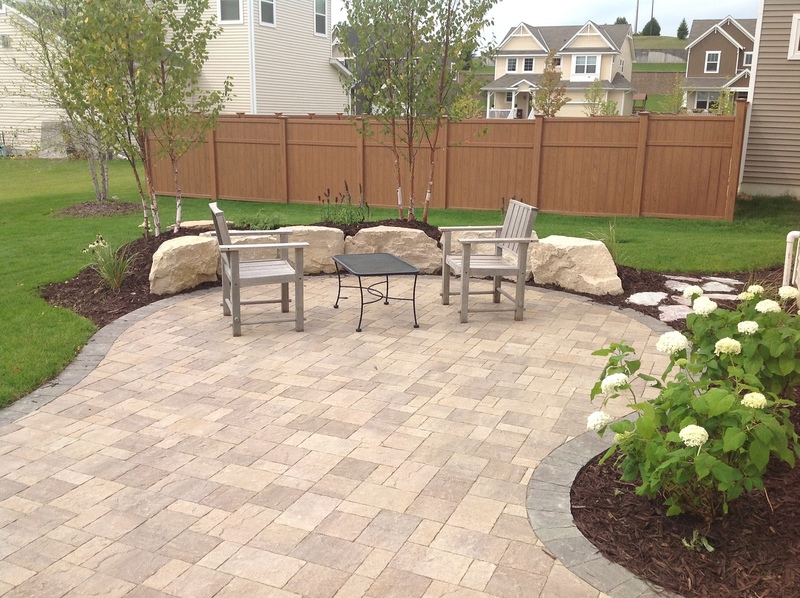 This custom landscape and hardscape project in Maple Grove, MN featured a Belgard paver patio, limestone cube seating wall, Chilton stone steps, and fieldstone boulder wall. 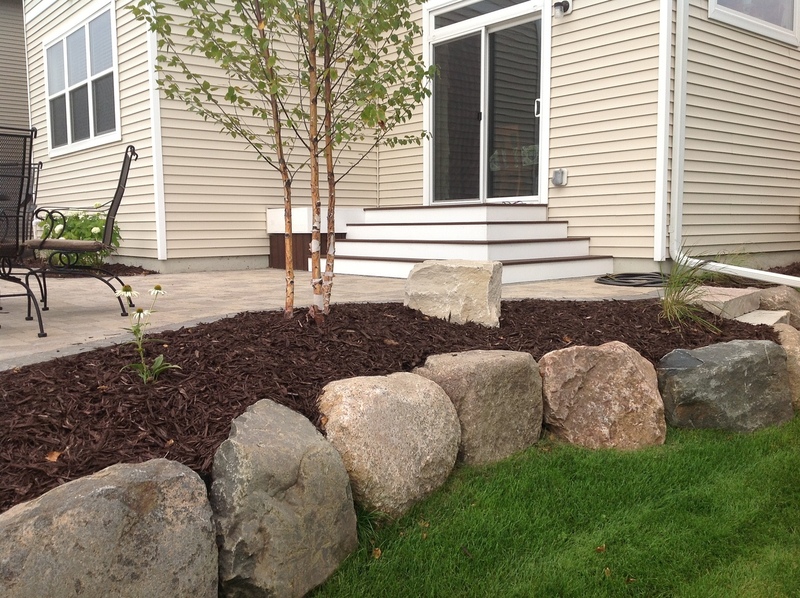 The surrounding landscape was bermed up behind the seating wall and the River Birch clumps added some shade to the patio. 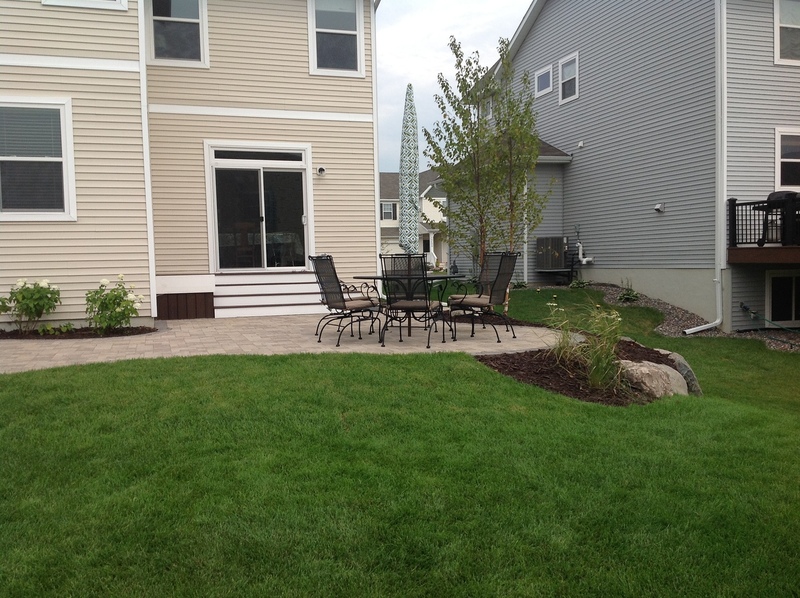 The maintenance free steps and landing leading down to the patio were made with Trex decking.